“What’s In A Name?” takes on an array of meanings when it comes to defining green roses. The term refers to roses in the literal and strictly floral sense. Other meanings are symbolic, often related to the color, green. Still other meanings take their inspiration from films and television. A rose of any other color suddenly seems far less interesting by comparison. “Green roses” encompasses a variety of lovely flowers, such as “Rosa F Green.” This is a totally green rose with unscented double blooms, and a vase life of between 14 and 20 days (Resources 1). Although green roses are less common than roses of other colors, they are available through online sellers and selected florists. Other varieties of green roses include Cream Aroma, Emerald, Lemonade and Supergreen. What is the meaning of green roses without petals? The Rosa Chinensis Viridiflora is the answer. In his 1954 book, “The History of the Rose,” Roy E. Sheppard describes a green rose believed to have been cultivated from around 1743. The British firm of Bembridge and Harrison introduced it for sale in 1856. The uniqueness of this particular green rose is that it is composed entirely of sepals (Resources 2). Green roses are thought to symbolize fertility and new beginnings, in our lives and in nature. For this reason, they are a suggested choice to celebrate the birth of a child, or even for a bridal bouquet. Because green is the color of money, green roses are seen as symbols of abundance or plenty. An arrangement of green roses for the opening of a new business is a thoughtful choice on this basis. Green is the color associated with springtime. 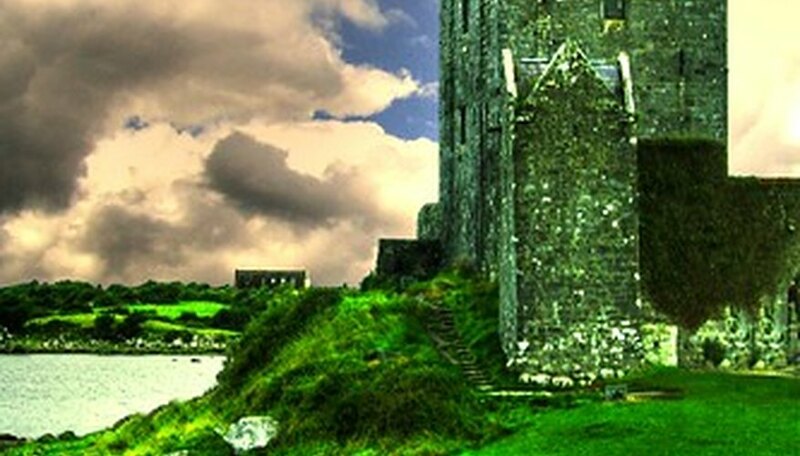 It is also the color of Ireland, which is known as “The Emerald Isle,” for its rolling green hills, shamrocks and leprechauns. The color green being the common denominator, green roses are considered appropriate for an Easter or Saint Patrick’s Day celebration. However, green also has some unflattering connotations. “Green-eyed monster” describes someone who is jealous or covetous. The unpleasant greenness of the Wicked Witch of the West in the 1939 film classic, “The Wizard of Oz” comes to mind. This could mean the Wizard would probably have issued an Oz-wide ban on green roses for her. By contrast, Kermit the Frog is generally loved for his greenness, and his declaration, “It’s Not Easy Being Green.” Could this mean Kermit might receive a bouquet of green roses from Miss Piggy? In Korea, “Green Rose” stands for a very popular television show that premiered in 2005 to high viewer ratings. The storyline revolves around a young couple played by Ko Su and Lee Da Hae, and involves romance, revenge and intrigue. Ko Su plays a young employee of a company, who falls in love with the Chairman’s daughter, played by Lee Da Hae. Ko is accused of murder, and escapes to China where he works for a tycoon. With a new identity, he returns to Korea on business, and to seek revenge.